Thursday's court ruling cleared the way for strike action by BA cabin crew starting on Monday. London, England (CNN) -- British Airways cabin crews plan to go on strike for five days beginning Monday if a dispute with management is not settled, the union said. Unite made the announcement after a Court of Appeal decision on Thursday overturned an injunction restraining strike action by the crews. That injunction had forced the union to cancel the first strike, planned for this week. "British Airways management now has a chance over the next three days to address our outstanding concerns and seize the possibility for industrial peace. We hope it has the wisdom to do so. Failing that, cabin crew will once more be taking industrial action with our full support," said joint union general secretaries, Derek Simpson and Tony Woodley. The union said British Airways has already been notified that further strike action will take place for five days from May 30 and five days from June 5 if there's no settlement to the dispute. Meanwhile, British Airways has published contingency plans for Unite's threatened strike next week. It said flights at Gatwick Airport will operate as normal, as will flights to and from London City Airport during the entire strike period. The schedule at Heathrow Airport will be similar to that previously announced ahead of the canceled first strike period. 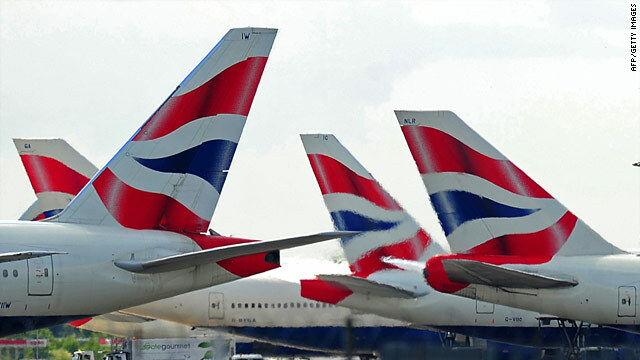 At Heathrow, British Airways said it intends to operate more than 60 percent of long-haul flights and more than 50 percent of short-haul flights in the May 24-to-May 28 strike period and it will add to this schedule where possible. At this stage, British Airways expects to fly more than 70 percent of customers who hold a booking from May 24 to May 28. The airline said it will operate most of its revised short-haul schedule at Heathrow using its own aircraft and cabin crews, but will supplement its schedule by leasing up to eight aircraft with pilots and cabin crews from other UK or European airlines. "People will be able to use seats we have secured on more than 30 other airlines to reach their destination, if they still wish to travel or be rebooked onto an alternative flight leaving within the next 355 days," the airline said. "Refunds are also available for customers whose flights have been cancelled." Air transport consultant John Strickland of JLS Consulting said the court's ruling Thursday "extends the suspense and agony of this dispute," but could open the door to a resolution. "It should add extra impetus to get it settled," Strickland told CNN. "Both sides have got extremely close -- if not there -- on the core issues."